Music is therapeutic for healing in treatment and generates critical thinking skills. The mind, body, and spirit benefit from music therapy. Music has a positive psychological effect on a person psychologically, emotionally, spiritually, and mentally. Music soothes the soul and helps in treatment and recovery. Writing music promotes critical thinking in a healthy, clear mind. It infuses creativity and psychological healing. Writing music is an outlet for communication for a person in treatment for addiction. An individual can express his or her experiences and feelings through writing music. Playing music is therapeutic for a person with the ability to play or has an interest in musical instruments. 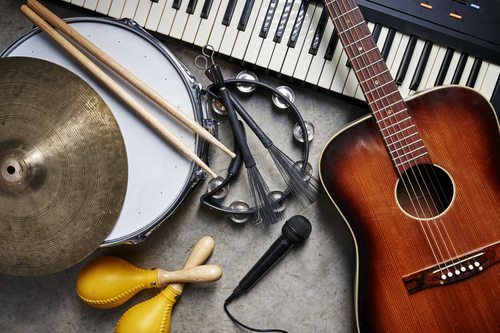 For a person who is musically talented, playing music can relieve symptoms of anxiety or depression. Playing music is a healthy activity to stay involved in throughout recovery. Substance abuse develops as a way to cope with stress, anxiety, arguments, or the death of a loved one. When overcome with grief, turning to substances is a way to escape. Music therapy teaches individuals to use music during challenging times to prevent a relapse. Analyzing music, teaching music to peers, and singing requires critical thinking skills and helps for spiritual wellness. Cypress Lakes Lodge incorporates music therapy as part of the holistic approach to treatment. If you are struggling with an addiction, get help now. Do not wait another day. Treatment does work, and recovery is possible.